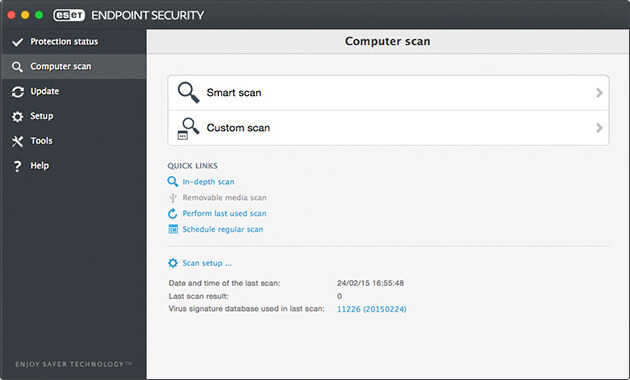 Ultimate Detection in Multi-Platform Environments. Can detect macOS and Windows threats on either platform. Built-In Data Access Control. With Web Control to limit website access, and Two-Way Firewall. Ensure no unauthorized offline media are used within your network. Blocks unauthorized devices, or allows different access levels. 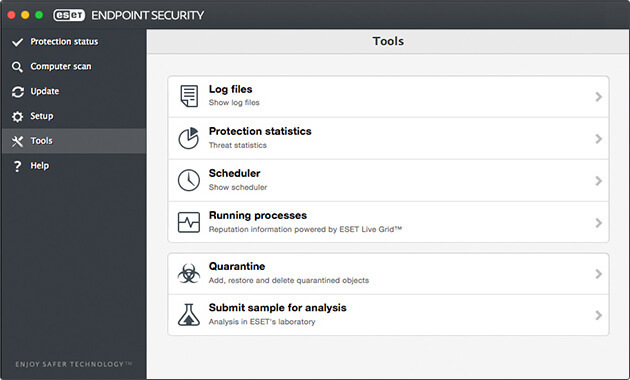 ESET Endpoint Security for macOS is capable of detecting Windows threats and vice-versa, delivering better protection in multi-platform environments. Protects end users from attempts by fake websites to acquire sensitive information such as usernames, passwords or banking and credit card details. Prevents unauthorized access to your company network. Provides anti-hacker protection and data exposure prevention. Secures company traffic and increases users' productivity. Limits users' website access by category, e.g. gaming, social networking, and others. ESET Endpoint Security for macOS delivers proven protection while leaving more system resources for essential programs that end users depend on daily. ESET Endpoint Security for macOS is fully manageable via ESET Remote Administrator. delivering a perfect “look & see” overview of the network security status. Has the crisp design and familiar layout you're used to in a Mac. Tools pane view is highly intuitive, allowing for quick navigation. Supports high resolution displays. 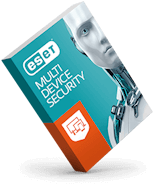 ESET delivers everything you need in an anti-malware package: great detection rates, small footprint and centralized management. This, combined with the expert support and training the company provides, makes ESET our chosen supplier for protecting our customers’ systems. Definitely, every organization, big or small, should go for this product. 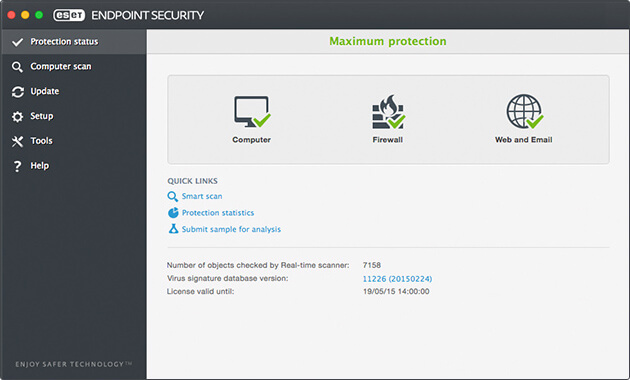 What ESET provides is something extra, which is beyond protection.